Topic: Joe's BST Thread: Missed out on some Robo Force! Re: Joe's BST Thread: Missed out on some Robo Force! Does anyone know if the villser green is just the Sentinel secondary color? I'm not in any position to check my own figures, and I'm trying to figure out if I can use my villser green axis joints with Sentinel. Hey, so I've got a ton of minifigs and am looking to sell them. Please look around if you're interested, and know I'll be consistently adding things over time. Topic: The Hobby Shop Discord Server! Topic: 481universe.com - Outlanders and other Nistuff! Re: 481universe.com - Outlanders and other Nistuff! I just got a website change notification for 481universe.com. Anyone else have this weird "Ubuntu" server page? Topic: Onell September 2017 Drop: Gobon's Return? Re: Onell September 2017 Drop: Gobon's Return? Just got my Villser and something about it feels off. 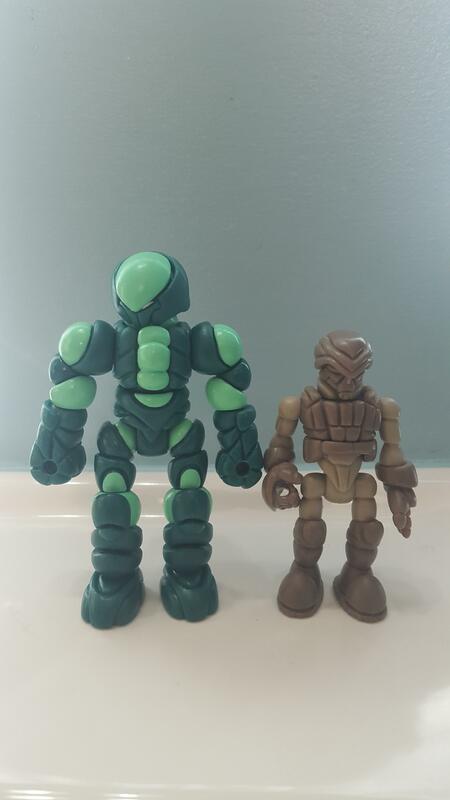 Not in a bad way, but something about the parts and size makes it feel more like an action figure than most Glyos toys I've handled. It's times like this that I do begin to question the Glyarmor/Skeleden prices, to be honest. Damn, I realized the wikia had a decent amount of info, but this is insane. An entire list of Axis Joint sets? I know this is probably trivial for most, but I think it'd be kinda cool if listings for items didn't disappear when they went out of stock, but just weren't publicly listed. I kinda wish I could click on the links of items I bought just to see the images and descriptions in hype. Y'know, sometimes I just visit this old thread to reread the absolute craziness of hype that was the days leading up to this drop. Topic: Parts Parts Parts - Who's got parts to Trade/Sell? I'm sorry, but what does the Glow Knight look like?